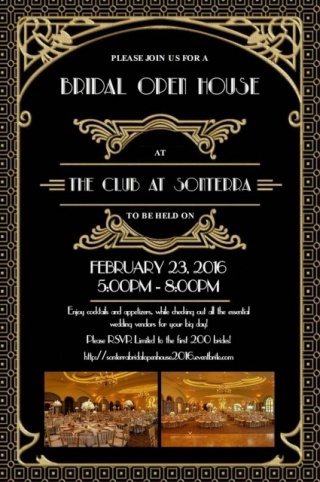 We will be at the Bridal Open House at the Club at Sonterra this coming week.! I cannot wait to see the Gatsby Theme! It is perfect for such a beautiful venue.